I don't know about you, but I like pretty things. I like pretty dishware. I like pretty mugs. I like pretty tables. I like pretty fabrics. I like Babycakes' pretty little body. I like pretty pizza. And I like pretty drinks. 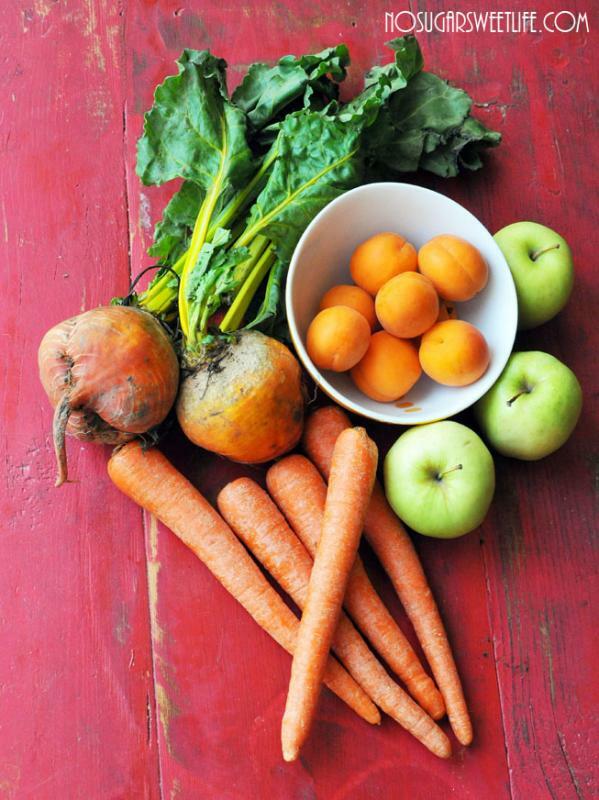 I'm convinced part of the allure for creating new juices, smoothies, and cocktails for me (besides nutrition/health) is to photograph the vegetables and fruits that go inside and the final products! They are all just so darn pretty! 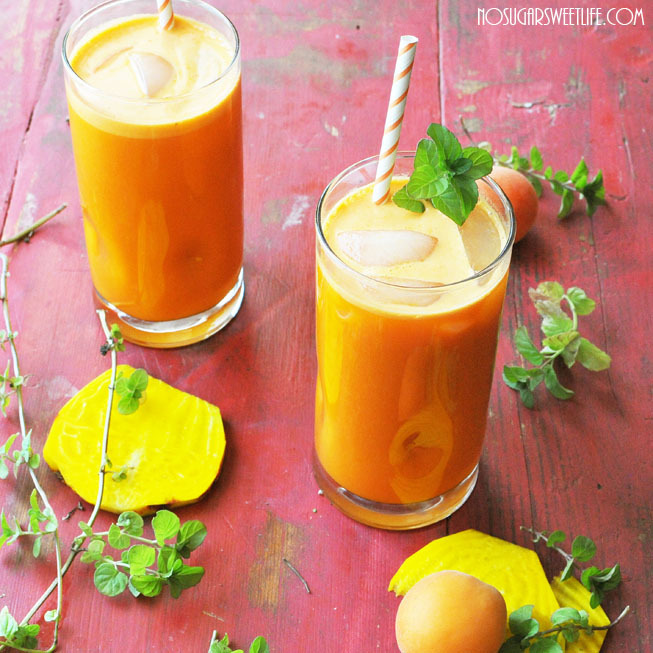 High in potassium, folic acid, iron, beta carotene, and Vitamins C and A, this juice delivers a heavy nutritional punch. 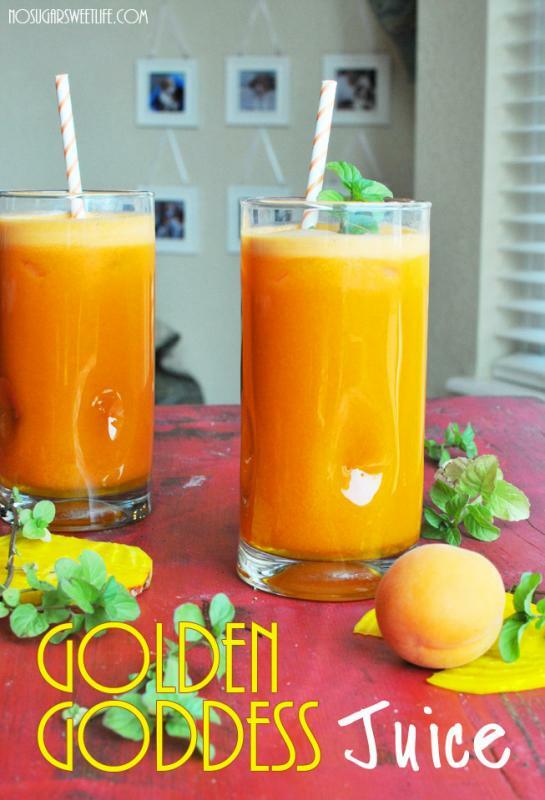 It features golden beets, golden delicious apples, golden apricots, and carrots. What did I tell you?! Sooooo pretty! a) Rachel - who suggested I use beets in my next HLTT juice. Your wish is my command! Though I threw a twist in there by using the "golden" variety! 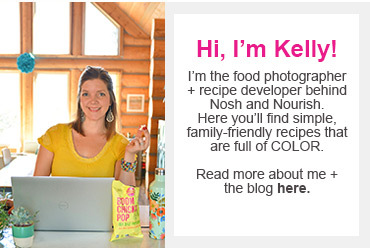 b) Jessica - who emailed me about a juice she'd made recently with apricots (plus sweet potatoes and an orange). When I told her I had not EVER bought an apricot in my entire 31 years of life, she was shocked!! So when I saw them at the market this weekend, I decided that I MUST.TRY.THEM! 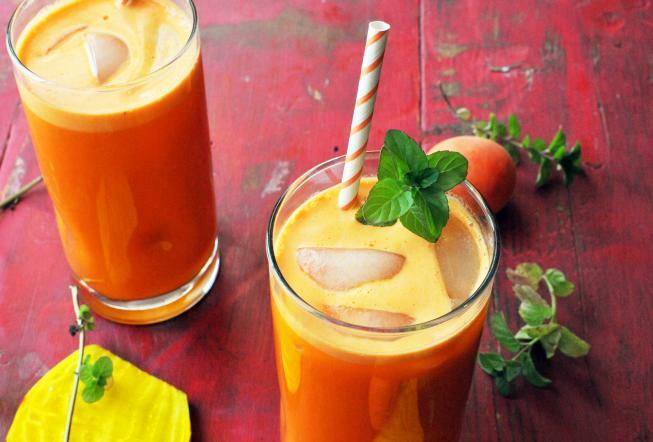 What's your favorite way to use apricots? Do you like pretty things? 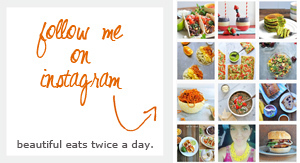 Dishware? Straws? Furniture? 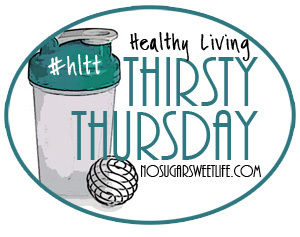 Make sure to include the logo above for Healthy Living Thirsty Thursday in your post, and link back to nosugarsweetlife.com. Cut stems off of beets, then peel. Remove the pits from the apricots.